Being injured due to the negligence of someone else entitles you to file a personal injury lawsuit for financial compensation. 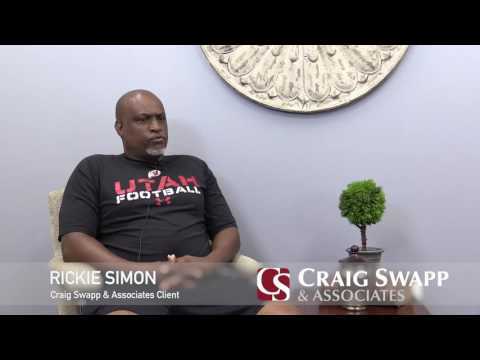 If your injuries are serious and have created significant complications or decreased the quality of your life, you need to work with a Spokane serious injury lawyer from Craig Swapp & Associates. We will provide you with the best opportunity for maximizing your compensation. If your injury is not listed here but is impacting your ability to work or perform your daily activities, speak with a Spokane serious injury lawyer from our office. It may still qualify as a serious injury, and you could still receive financial compensation. You can receive more money for your serious injury claim by working with a Spokane serious injury lawyer from our firm. This is because we will analyze the full impact the injury has had on your life. The best way to receive financial compensation is to file a lawsuit against the negligent party. We can help you do so after gathering the evidence to prove they were responsible for your accident and injuries. Once your Spokane serious injury lawyer has gathered sufficient evidence and valued your claim, we can create a demand letter to be sent to the other party’s lawyer and insurance company. If they agree to our settlement terms, you could receive compensation without going to court. It will only become necessary to go to trial if the other side won’t make a serious offer. Even then, they may become eager to settle as the court date draws closer. It is critical that you hire a Spokane serious injury lawyer and file a lawsuit before the statute of limitations is reached. In Washington, you have three years in which to pursue legal action. Getting started on your case is easy. All you need to do is complete the form below or call 1-800-404-9000 to speak with an experienced attorney at Craig Swapp & Associates. One call, that’s all!